Yesterday, we enjoyed a tour of Los Abrigados Resort & Spa, located in the heart of Sedona today. A very nice time share facility and it even has RV parking available for those staying there between RV park stays. Breakfast at Stakes & Sticks, an on site restaurant, was very yummy as well. Not sure if time share is something for us at this moment in our lives though. But…..we did receive two free first class tickets on the Verde Canyon Railroad Wilderness Train on February 10th! 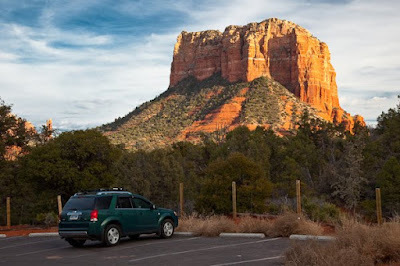 Afterwards, we did a little sightseeing around Sedona and did the scenic drive out Hwy 179 to Oak Creek. Both these shots were taken along Hwy 179 between Sedona and Oak Creek. 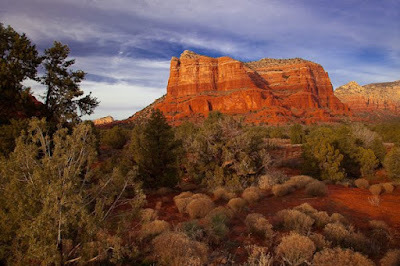 There is quite a bit of construction along the Sedona end of Hwy 179 but it will be fabulous once all is finished. Today is a rest day. Chris’s new bread maker arrived this morning…finally! My new toy arrives tomorrow! !